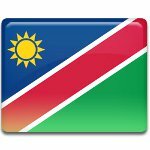 August 26 is Heroes' Day in Namibia. This public holiday in known within the United Nations as Namibia Day, but Namibians themselves appose this name of the holiday. Celebration of Heroes' Day was established to commemorate the first battle at Omugulugwombashe training camp, that took place on August 26, 1966. In 1966 the UN General Assembly revoked South Africa's mandate to govern South-West African territory. The Namibians opposed this decision and refused to recognize the resolution. Then South West Africa People's Organization started preparation for armed resistance. Several training camps were built, one of them was Omugulugwombashe. It was built in 1966 and was not prepared to start training, however, 17 soldiers were brought to the camp. On August 26 the helicopters of the South African Defense Force attacked the camp at Omugulugwombashe. This event was the first armed battle of the war. There is another important for the nation event, that also falls on August 26. On this day in 1923 the Chief of the Herero people in Namibia was reburied at Okahandja city.